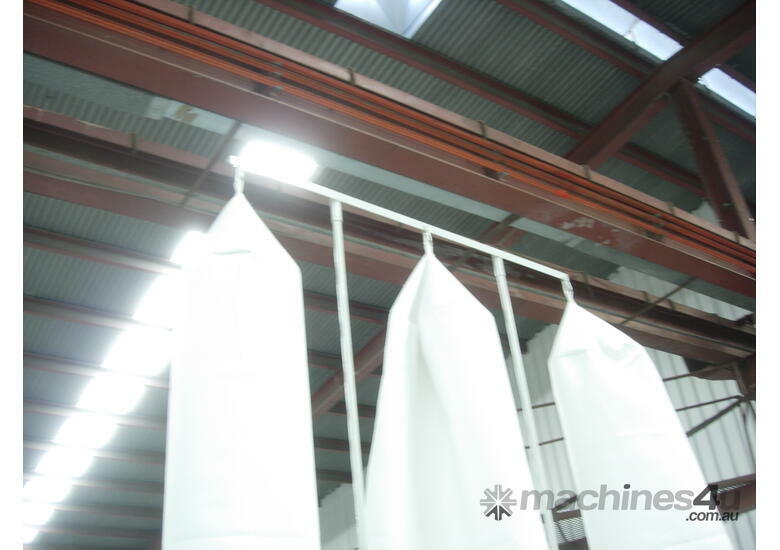 Strong sheet metal construction – 280kgs nett weight. 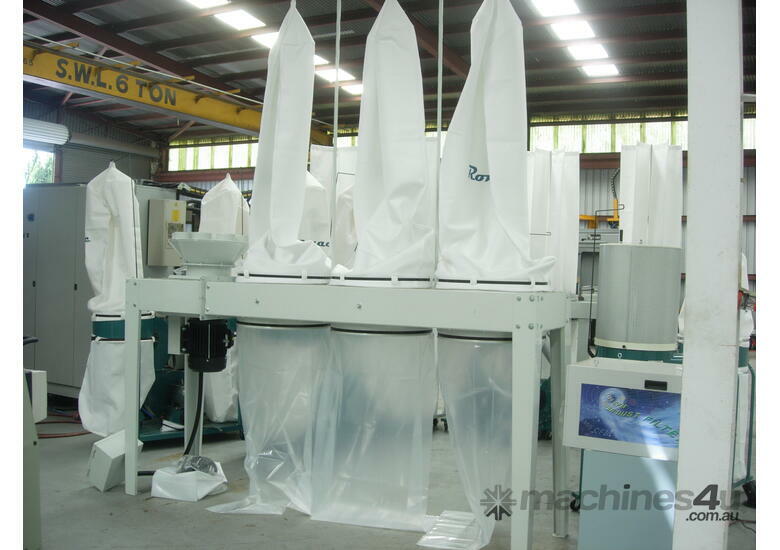 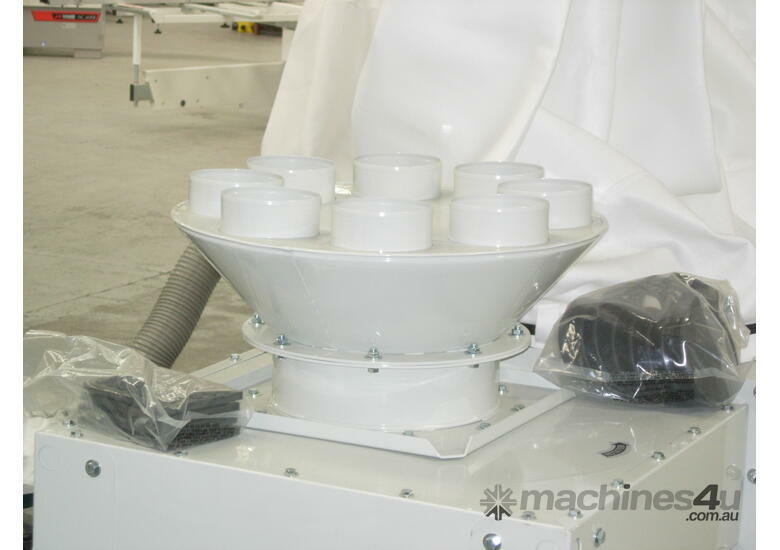 Three tall top filter bags 610 x 1800mm L x of 5 micron filter material. 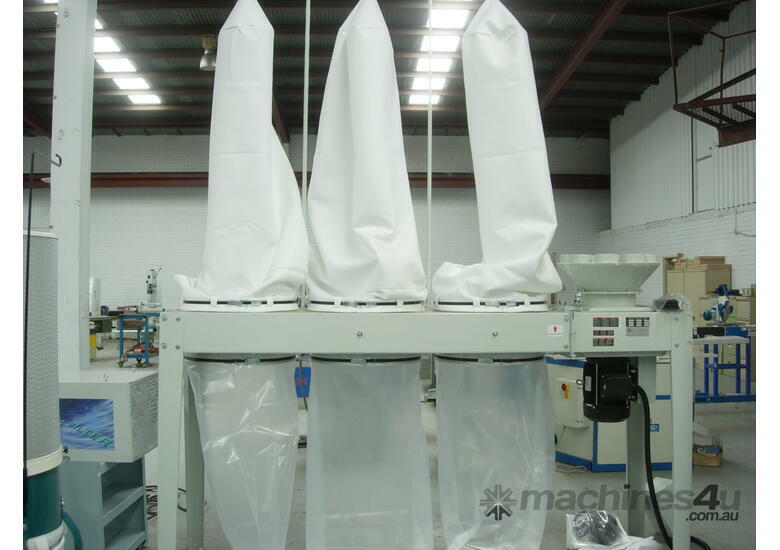 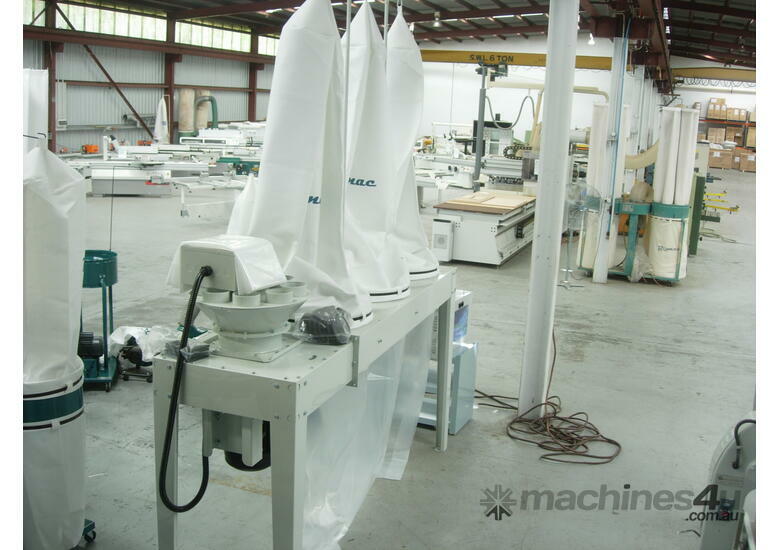 Three bottom collection bags 610mm dia x 1400mm – clear plastic disposable type bags.